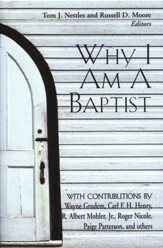 By: David S. Dockery, Ray Van Neste & Jerry Tidwell, eds. Are church denominations necessary; do they even have a future? Such questions are explored in Southern Baptists, Evangelicals, and the Future of Denominationalism, based on a conference of the same name held at Union University where Evangelical and Southern Baptist scholars addressed challenging issues of theology, polity, and practice. 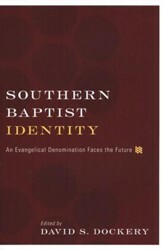 David S. Dockery is president of Union University in Jackson, Tennessee. He also serves as chairman of the board of the Council for Christian Colleges and Universities, has written close to thirty books, and is a contributing editor for Christianity Today magazine. Ray Van Neste is assistant professor of Christian Studies and director of the R. C. Ryan Center for Biblical Studies at Union University. 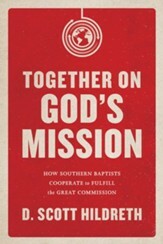 Jerry Tidwell is senior vice president for Church Relations at Union University and former president of the Tennessee Baptist Convention. 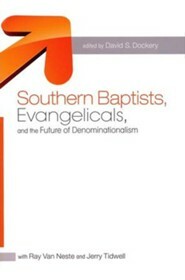 I'm the author/artist and I want to review Southern Baptists, Evangelicals, and the Future of Denominationalism.